Have you ever read a book and loved it, but several months later couldn't remember what it was about? This has happened to me more times than I care to admit so I know how frustrating it can be. Consuming an entire book is a significant time investment so if you can’t recall what you read, it feels like all that time you spent reading was wasted. Not a fun feeling. This is especially true of books having to do with personal development, which make up a good portion of the books I recommend on TGP. The whole point of reading these kind of books is to apply the information to your life so you can improve it. But it's hard to do if you can't remember what you read. Not to worry -- I have some tips for you! Below are some strategies that have helped me learn and recall information more effectively. I've arrived at these methods through years of trial and error and I am constantly updating and improving them. Sometimes I utilize all of these tools, sometimes only one or two. Apply them to your life however you see fit. 1. Listen to the author talk about their book. Often, authors will do interviews or keynote speeches where they discuss the key takeaways from their book. I usually watch these on YouTube before committing to reading their entire book. It helps me familiarize myself with the concepts beforehand, which makes reading the actual book that much easier and effective. The truth is, most non-fiction books contain only one or two “big ideas.” Either that, or they are a numbered list of smaller ideas. In both cases, these main ideas are surrounded by a whole host of anecdotes, examples, and supporting arguments meant to persuade you to buy into them. This supporting evidence is what makes up the majority of most non-fiction books. The reason why it's helpful to listen to authors talk about their work is because they are forced to pack a large amount of information into a short period of time. In a 20-minute interview or keynote, there's not much time for extraneous examples or anecdotes, which means you get a concentrated dose of the good stuff. Pro Tip: If you can’t find anything on YouTube from the author or if it is an older book, there are also YouTube channels devoted to summarizing books that can offer a comparable benefit. Additionally, there are paid services like Blinkist that provide a similar service. There is a misconception held by many that reading is somehow a superior way to learn, but that’s not always true. Over the years, I've found that I learn better through audio in many cases. Find what works best for you and stick to it. 3. Apply the information to your life. One of the most effective ways to get the most out of what you read is to immediately take action on it or apply it to your life somehow. The sooner, the better. This is especially true for personal development books. As soon as you learn about a new idea, strategy, or philosophy, take it for a test drive. Test it out in the real world and see how it works for you. Acting on information makes it more real and less abstract. Your brain loves concrete, tangible concepts. It helps if you read about topics that are relevant to you at the moment. When you read in an effort to solve a problem or find a particular answer to something, you tend to be more alert and receptive to new information. Once you find information that applies to your situation, your brain gets a hit of dopamine, which leads to a more emotional connection with the material, which leads to better retention. 4. Don't overload your brain. More is not always better (a concept of which I constantly need reminding). Sometimes, consuming too much information can overload your brain. If you find yourself not being able to remember information you consume, try reading less and applying more. 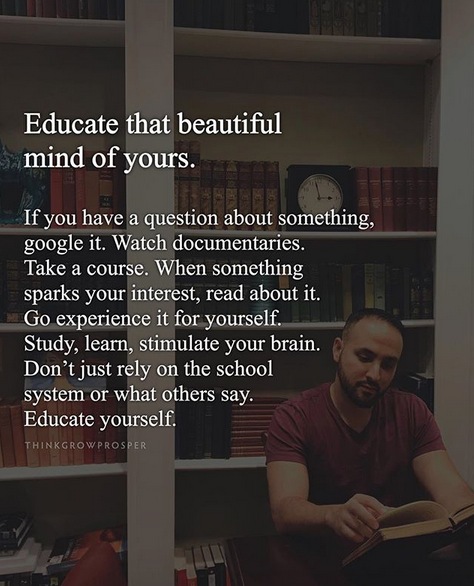 For instance, maybe read half of what you normally would in a week, but make it a point to apply what you read to your life within that same week. I would much rather read one good book a month that I fully understand and whose concepts I've integrated into my life than read 5 or 10 books a month that I only vaguely remember. Pro Tip: If you're addicted to reading and absolutely cannot cut back (like me), try incorporating some fiction into your learning. I’ve found that learning through stories and metaphors can be even more effective than learning from lists or directives that are often found in non-fiction. At the very least, it might help give your analytical mind a rest. 5. Use the principle of spaced repetition. Think of this as the opposite of cramming. Spaced repetition is a method of learning involving brief study sessions where you quiz yourself on your knowledge about a particular subject you recently learned about. These sessions are strategically spaced out to give your brain time to forget the information just enough so that when you recall it, it strengthens the neural pathway that made the recall possible. This method has been studied a lot and has proven to be effective, especially for students. There are even spaced repetition apps to help optimize your learning schedule and integrate the practice into your life seamlessly. If you want to dive deeper into this subject, a great book I’d recommend is Make It Stick by Peter C. Brown, Henry L. Roediger III and Mark A. McDaniel. Aside from being wonderfully convenient, the main reason I love reading with a Kindle is because it consolidates all my notes and highlights. As I’m reading, I highlight passages I want to remember with my finger and even add my own notes if I want. Once I’m done reading, I export all my highlights and notes and email them to myself as a PDF document. This document then serves as my study guide. Later on, I can refresh my memory by reviewing my notes, or even better, using spaced repetition (above) to make the information stick in my mind even more permanently. 7. Teach someone else (or yourself). Once of the best ways to learn is to teach. Teaching something forces you to clarify concepts and ideas in your mind and recall them in a way that increases both your comprehension and retention. When you do these things, you not only help reinforce the ideas in your own mind, you also create value for others in the process. If you can't find someone to teach, teach yourself. After you read a particular section or chapter of a book, set it aside and write about what you just read in your own words. This will help you recall the information in a way that is meaningful to you and solidify it in your mind. The great thing about learning is that the more you learn, the more you retain. This is because the more you can relate new information to what you already know, the easier it is to remember it. The more context you have for a concept, the easier it is to learn related concepts and ideas. You may also find that the more you read, the more you will start to recognize themes and patterns in books. You will begin to see the same concepts appear in different forms across a wide variety of books. You'll notice the same underlying message in a variety of books, yet each is explained in a distinctly different way. Connecting these dots is one of the joys of learning and also supercharges your retention and familiarity with subjects. The person you will be in five years depends largely on the information you feed your mind today.